* Finished at 10.5 months, going Best of Breed over multiple Top Ten specials. Along the way, judges have commented "Lovely breed type", "An excellent mover", "This is a dog that could run all day in the field. This is what a Weimaraner should look like! ", and "She's breathtaking!" 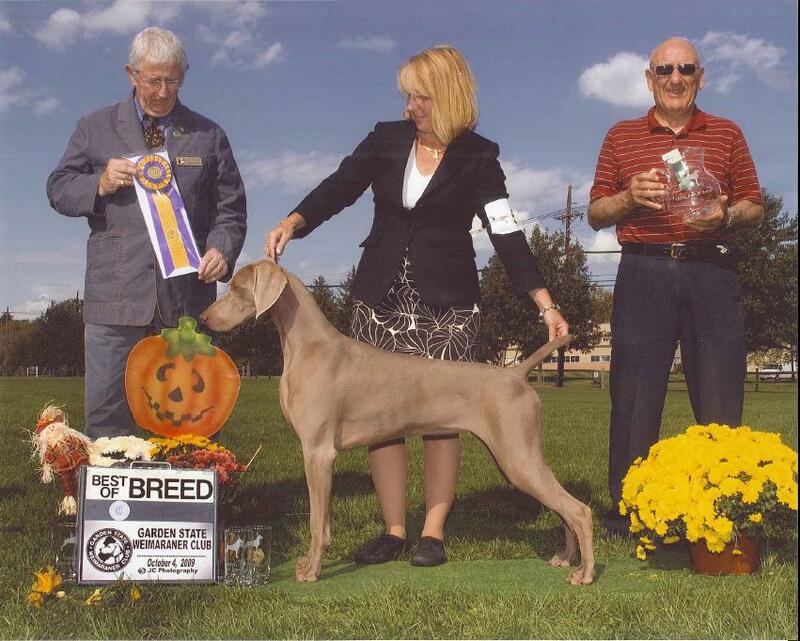 Schatze finished her championship at The Elmira Kennel Club, Inc. show on September 27, 2009, going Best of Breed over multiple Top Ten specials! 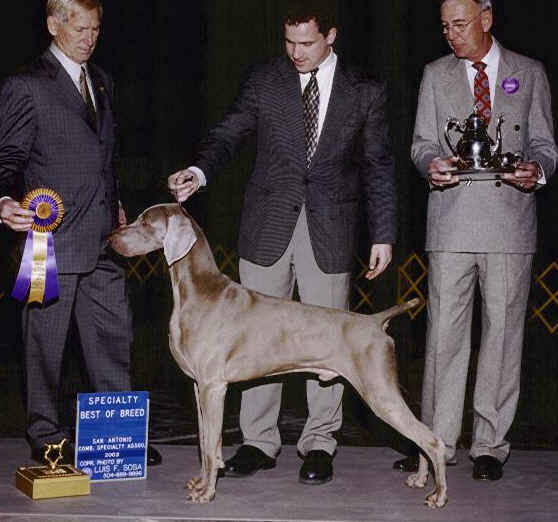 While only starting as a "special" in October, Schatze ended 2009 in the Top 20 in both Breed and All Breed points. As of 12/31/2009, she stands at #17 in Breed points, and #13 in All Breed (includes Breed, Groups and BIS placements)! 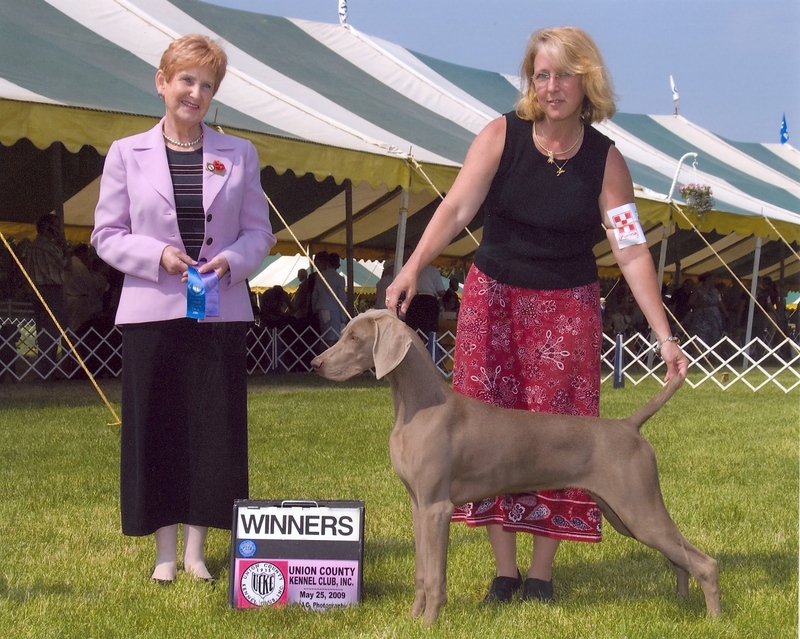 Click below to watch a video of 14 month old Schatze, winning Best of Breed at the Carroll Kennel Club Show on January 23, 2010. This video was filmed for us by our friend Richard Kuan, who was visiting the show with his family that day. This was his first dog show, and he did a great job filming! FLASH! 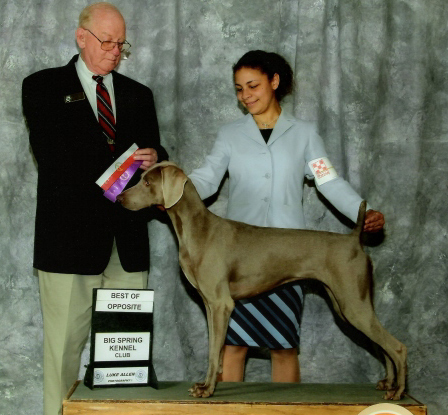 Schatze won the Sporting Group at the Chesapeake Kennel Club of Maryland, Inc. show on Saturday, 11/21/2009!